Pulsin Pea Protein is rated 4.3 out of 5 by 33. Rated 5 out of 5 by bf772 from Best vegan protein powder! 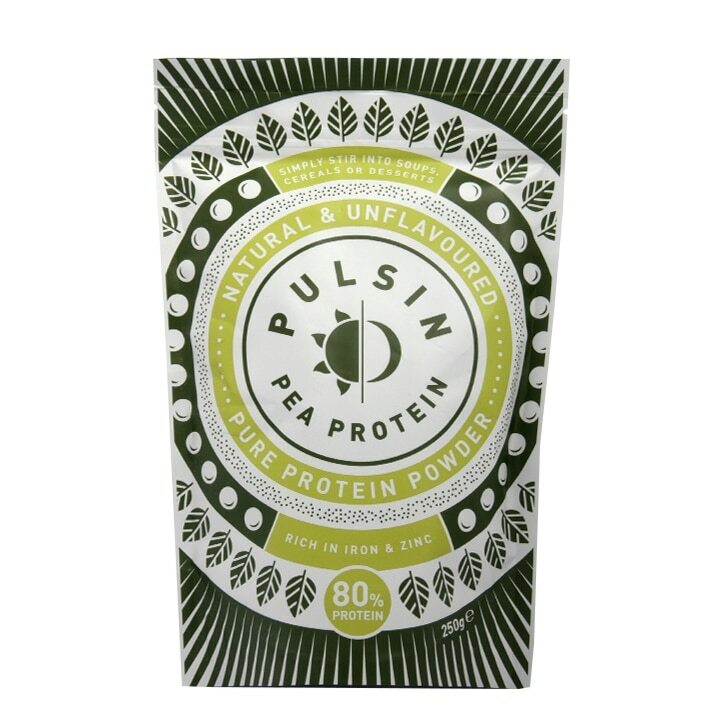 This is the best you can buy as I have tried other pea protein powders which taste strong. I add this to smoothies and you can hardly taste it. I use this every day either in smoothies or just a plain protein shake with either coconut water or plant milk with a few berrries. It helps on weight loss plan which works for me! Rated 5 out of 5 by Mrsginge from This is good stuff! Wasn’t sure about this but went by the reviews and I’m glad I did, it’s perfect for mixing into smoothies, porridge or even yogurt and fruit. It’s almost taste less, so works with everything. Rated 5 out of 5 by Andy74 from Great product and taste Great vegan alternative for protein powder, and has great taste, will buy again! Rated 4 out of 5 by NilssonV from Great Dairy Free Protein! Does what I needed - a protein powder that is dairy free and has no significant taste when added to recipes. Rated 4 out of 5 by Chloestu from Very good, interesting flavour Does exactly what it says on the tin, perfect for adding to cereal, smoothies and soups for an extra boost of protein. However it does leave the slight taste of peas to your dish.